« William Shakespeare meets the Brothers Grimm » was the theme of the « Fairy Tale » section of the Victoria’s Secret Fashion Show 2014. To read about other Brothers Grimm-influenced collections, search for the « Snow White » and « Little Red Riding Hood » posts that I have published on February 25, 2014, and on March 2, 2014, respectively. To read about other William Shakespeare-inspired collections, search for the « William Shakespeare » post that I have published on August 26, 2013. The Elena Rial Spring/Summer 2015 Show, presented as part of the Samsung EGO Innovation Project, was based on Henry Darger’s « The Story of the Vivian Girls, in What is known as the Realms of the Unreal, of the Glandeco-Angelinnian War Storm, Caused by the Child Slave Rebellion ». 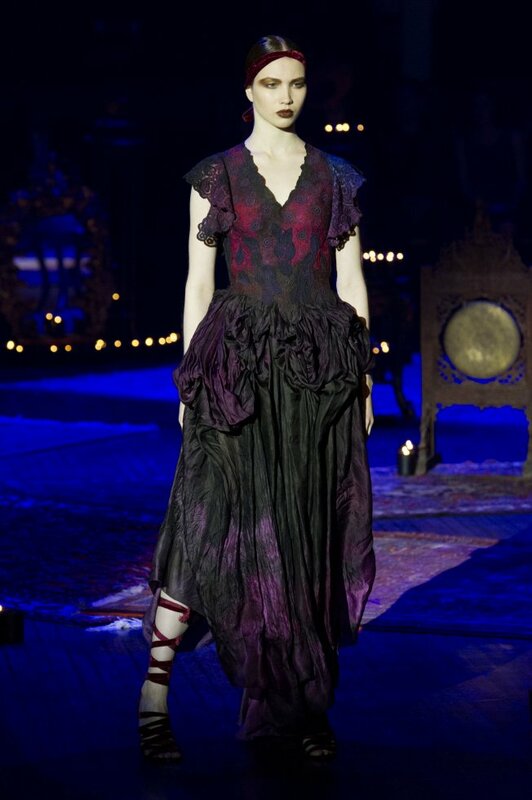 Miss Havisham, from Charles Dickens’ « Great Expectations », was the muse of the Marchesa Autumn/Winter 2011-2012 Collection. Alfred de Musset’s 1836 autobiographical book, « The Confession of a Child of the Century », was one of the influences of Jean Paul Gaultier’s Couture Autumn/Winter 2012-2013 collection. The Franck Sorbier Couture Autumn/Winter 2014-2015 Show paid homage to poets such as Paul Verlaine and Arthur Rimbaud. To read about other Arthur Rimbaud-inspired collections, search for the « Arthur Rimbaud » post that I have published on March 5, 2013. 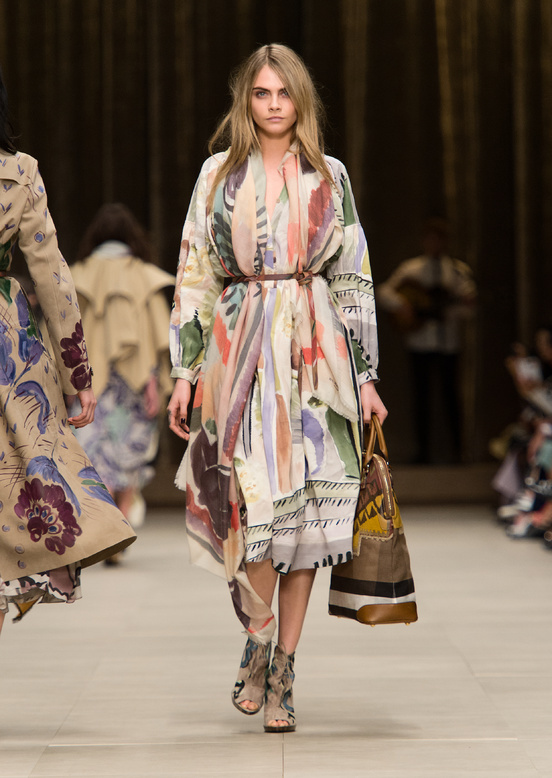 The Burberry Prorsum by Christopher Bailey Autumn/Winter 2014-2015 Show, titled « The Bloomsbury Girls », paid tribute to the women of the Bloomsbury Group, such as Virginia Woolf. Other Virginia Woolf-influenced collections : Altuzarra Spring/Summer 2013 (the starting point of this show was Sally Potter’s film « Orlando », based on Virginia Woolf’s « Orlando : A Biography »), Anna Molinari by Rossella Tarabini Autumn/Winter 2004-2005 (the references of this collection featured Bette Midler as Janis Joplin in Mark Rydell’s « The Rose », who’d meet Virginia Woolf), Ann Demeulemeester Autumn/Winter 2007-2008 Menswear (the theme of this show was the hero of Virginia Woolf’s « Orlando : A Biography » who collides with the 21st century avant-garde), Antonio Marras Autumn/Winter 2013-2014 (the female members of the Bloomsbury Group, such as Virginia Woolf, influenced this collection), Burberry Prorsum by Christopher Bailey Autumn/Winter 2004-2005 (this show paid homage to Virginia Woolf and the other intellectuals of the interwar years), Burberry Prorsum by Christopher Bailey Spring/Summer 2005 (inspired by the Bloomsbury English eccentrics, this collection highlighted pieces for heroines such as Virginia Woolf in the modern Bloomsbury), Burberry Prorsum by Christopher Bailey Resort 2013 (this collection referenced the covers of Virginia Woolf’s books), Clements Ribeiro Autumn/Winter 2011-2012 (the influence for the Sam McKnight-styled hair of this show was « Virginia Woolf at a bar in Dalston meets Miss Havisham »), Delfina Delettrez Spring/Summer 2011 (this jewelry collection was based on mighty women such as Virginia Woolf), Edeline Lee Spring/Summer 2013 (this collection was an homage to the strong women of the Bloomsbury Group), Meadham Kirchhoff Spring/Summer 2014 Menswear (Virginia Woolf’s « Orlando : A Biography » was one of the books which were included in this presentation), Preen by Thornton Bregazzi Spring/Summer 2012 (this collection referenced the Bloomsbury Set, especially Virginia Woolf), Preen by Thornton Bregazzi Autumn/Winter 2012-2013 (Virginia Woolf was one of the muses of this show). 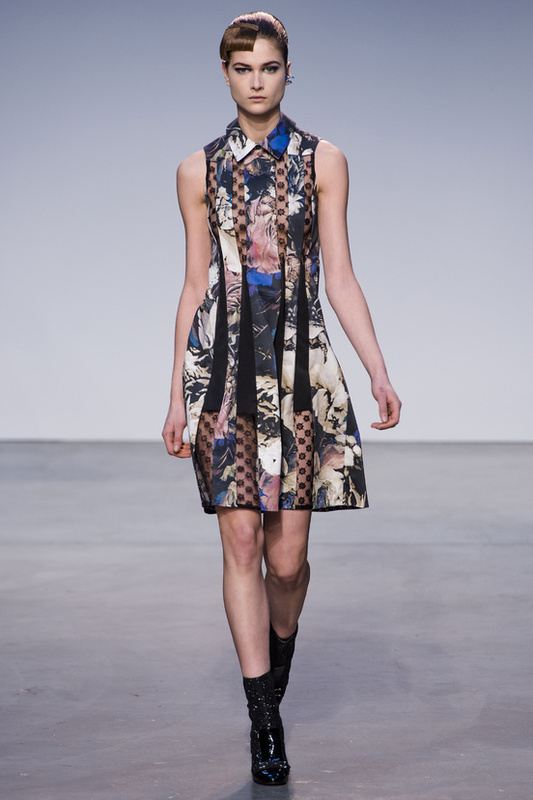 Ray Bradbury’s novel « Dandelion Wine » has inspired the Thakoon Autumn/Winter 2013-2014 Show.